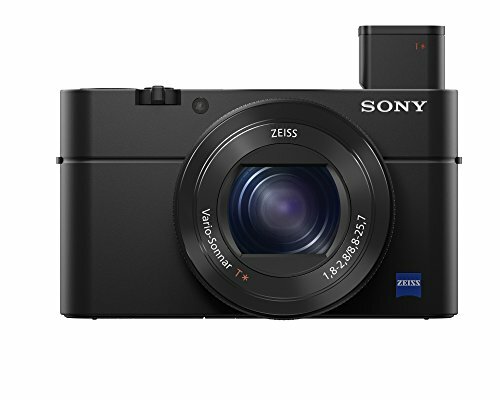 For nearly $1000 the Sony Cyber-shot DSC-RX100 IV really impresses when it comes to image quality in almost any situation. And to close this post up, here a couple more. Before you begin this process make sure you have a fully charged battery! Update to firmware Version 2.4 from the Global Joint Update Service. Menu > Setup > Activate > Export Serial Code. Upload the SERIAL.LST to Panasonic's Portal Web Page. Find the SERIAL.LST in the PRIVATE > PANA_GRP > PAVC > LUMIX > ACTV > "SERIAL.LST"
Input and register the "Upgrade Software Key" to Panasonic's website; this will allow you to get the activation code. PRIVATE > PANA_GRP > PAVC > LUMIX > ACTV (i.e. the same location you SERIAL.LST is in). Menu > Setup > Activate > Import Activation Code. When prompted power cycle the camera. You will find your new V-LOG L feature in your Photo Styles. Enjoy the new picture profile, it's kind of a learning curve, but that's what creating content so fun in my opinion. If you have questions please feel free to drop me a comment down below. Thanks for stopping by, I hope this helped those of you that needed it. Let's face it OnePlus has had the most controversial business models two years running. The utilization of the invite system seems to have worked well for them, in the same sense I think it's hindering they're potential to become the company that produces the real "Flagship Killer." Build quality, is one of the top pluses of the OnePlus 2 in my book. This phone is beautifully constructed and features a modular design - scoring a respectable 7 out of 10 on the iFixit repairability scale. Oxygen OS - one of the most pleasant experience of an Android variation I've had in a long time. Battery life! This thing gets me through a day no problem. The display isn't as sharp as I would have liked to see it, but I think it is a major contributing factor to the excellent battery life. In the end, I choose battery over display. USB Type-C, this isn't a huge negative, it'll just take time to get other manufactures onboard with adopting this as a means of charging, the new Nexus 5X and 6P feature this port and I think it will get the ball rolling. NO NFC! What the hell OnePlus?! In a time when mobile payments are about to take off, you decide to not include? This is the only reason I cannot use this phone as my daily driver. The damn invite system! 'Nuff said. It looks like you can test out the upcoming V-Log L picture profile if you enable it using Panasonic's Image App on your mobile devices. Follow the instructions in this video and you should be good to go to try it out until you get your paid version, as there are some caveats to using this now on its unofficial release. If you like what you use and are seeing (which I do) and want to preorder your copy of this firmware key, head on over to Panasonic and get your order in for the $99 upgrade. This workaround only excites me, I can't wait to unlock this feature in its entirety, as I've had my order in since they announce it. Hey Panasonic! Ship my key out to me already! Pretty please! Looks like Panasonic took down their v2.3 firmware since the release of this video. Never fear, I've got the version here for you to download at your convenience HERE.